Renting versus buying is always a tough choice. Getting approved for a mortgage can be even tougher. If you choose to buy a house, congratulations – that’s a big deal. If you’re like most Americans, this transaction will represent the largest single investment you make in your life. It’s also likely that you’re financing the purchase with a mortgage loan. But mortgages come in many varieties, most of which aren’t appropriate for your situation. How do you know which type of loan is right for you? The first step is learning more about common loan types. This post will lay out everything you need to know about the FHA mortgage loan, a popular alternative to conventional mortgages. There are many different sub-types of FHA loans, with varying limitations and suitability. FHA loans are issued by private lenders, including credit unions and traditional banks. The loans are insured by the Federal Housing Administration and are intended for owner-occupied residences, not rental properties or vacation homes. Contrary to popular belief, FHA loans are not directly originated by the Federal Government. However, when a borrower defaults on an FHA loan, the Federal Housing Administration’s insurance policy protects the lender from financial losses. The FHA has insured more than 40 million residential real estate loans since 1934. Thanks to low down payment requirements (as low as 3.5% of the purchase price) and loose underwriting standards for borrowers with imperfect credit (it’s possible to qualify with a sub-600 FICO score), the program is popular with first-time homebuyers, those with limited personal savings, and borrowers with poor credit scores. FHA loans do have some notable downsides, including pricey mortgage insurance like private mortgage insurance or mortgage payment protection plans. FHA borrows also experience sale price restrictions that can affect buyers in high-cost markets. FHA mortgage loans come in several different flavors depending on your age, assets, income, and current home equity (if any). Fixed-Rate Purchase Loan. Also known as a 203b mortgage loan, this is the most popular type of FHA purchase loan. Terms can vary, but 15 and 30 years are the most common. Interest rates tend to be lower than comparable conventional mortgages. 203b mortgage loans can be used on one- to four-family homes. Adjustable-Rate Purchase Loan (ARM). Under the Section 251 Adjustable Rate Mortgage Program, the FHA insures ARMs whose interest rates can rise by no more than one percentage point per year, and no more than five percentage points over the full term. Borrowers receive notice of pending rate increases at least 25 days prior to the increase. Condominium Loans. Known as Section 234c loans, FHA-insured condominium loans are 30-year fixed-rate products that finance the purchase of individual condominium units within developments larger than four units. There’s no strict occupancy requirement, so borrowers can use FHA-backed condo loans to earn rental income. However, in any given development, at least 80% of FHA-insured loans must be made to owner-occupants. Secure Refinance Loan. FHA Secure Refinance loans are designed to help borrowers with conventional mortgage loans refinance into fixed-rate, FHA-backed mortgages. Delinquency is not necessarily disqualifying, though it must result from higher monthly payments on a conventional ARM. Non-delinquent borrowers can refinance any type of conventional loan. Standard qualification requirements apply, including steady income, acceptable credit rating, and reasonable debt-to-income ratios. Home Equity Conversion Mortgages (HECM or Reverse Mortgage). Popularly known as a reverse mortgage, a HECM enables owner-occupant seniors aged 62 or older to tap their home equity and pay off the remainder of their existing mortgages without making monthly mortgage payments or moving away. For seniors with limited savings and fixed incomes, HECMs are excellent sources of tax-free cash, though they do have important legal and financial consequence for homeowners and their heirs. Graduated Payment Loan. Known as Section 245 loans, graduated payment loans are designed for owner-occupants who expect their incomes to grow substantially in the medium term – for example, aspiring professionals or engineers in the later stages of training. Graduated payment loans’ monthly payments can increase over the course of 5 or 10 years, after which they remain constant for the remaining term. Annual increases range from 2.5% to 7.5% on 5-year plans, and 2% to 3% on 10-year plans. Growing Equity Loan – Section 245a. The Growing Equity Loan program’s intent is similar to the Graduated Payment Loan program, except more versatile: They can be applied to purchases of owner-occupied one- to four-family homes, condominiums, shares in cooperative housing, and housing destined for renovation or rehabilitation. Monthly payments are subject to annual increases between 1% to 5%, and loan terms cannot exceed 22 years. Mortgage Insurance: FHA loans require an upfront insurance premium equal to 1.75% of the financed amount – for instance, $3,500 on a $200,000 loan. Ongoing private mortgage insurance premiums (PMI), which are required down to a loan-to-value ratio (LTV) of 78%, are not factored into this item. Prepaid Property Taxes: In most cases, you need to prepay the property taxes you’ll accrue between closing and your next tax due date. Depending on your home’s value, local tax rates, closing date, this can set you back hundreds or thousands of dollars. Prepaid Hazard Insurance: This covers your first year’s homeowners insurance premiums, which can range from a few hundred to a few thousand dollars. It’s most often paid outside closing, but you’ll still need to factor it into your budget. Property Survey: Property surveys can vary in scope and comprehensiveness. A mortgage survey simply compares the current description of the property with previous recorded descriptions and identifies potential inaccuracies. A location survey involves a thorough on-site inspection that precisely locates buildings, easements, and previous survey monuments. A boundary survey is more thorough – they identify the property’s precise corners and boundaries, as well as evidence of encroachment or adverse use. Survey costs vary based on the level of detail and the property size, but many cost less than $500. Detailed boundary surveys can surpass $5,000 – though boundary surveys are not necessary for most transactions. Property Appraisal: Your lender-commissioned property appraisal verifies that the home is worth what the seller is asking. This reduces the lender’s risk in the event of foreclosure. Appraisals are typically mandatory and often cost less than $500. Home Inspection: A home inspection covers the main structure of the home and any habitable outbuildings. Though it’s not a binding warranty on the condition of the home, the inspection can identify potential safety hazards or elements in need of repair. Inspections usually aren’t required by lenders, but they’re strongly recommended, especially for older homes. Expect to pay $200 to $500 for your inspection. 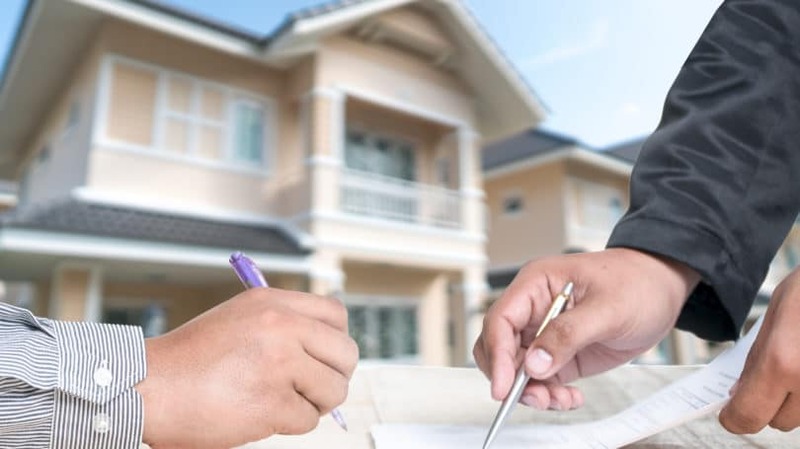 Title Search: This essential step verifies your property’s chain of title and ownership for the entire length of its existence, ensuring that the seller has the right to sell the property to you. Expect to pay anywhere from $100 to $400. Title Insurance: Title insurance covers the cost of fixing issues (such as latent liens and covenants) discovered in the title search, and provides ongoing protection against claims on the property. Title insurance costs vary significantly from state to state, but $1,000 is a good rule of thumb. Recording and Transfer: Every home sale needs to be recorded with the jurisdiction in which the property is located – usually the city or county. In most cases, transfer stamps (fees) are also required. Depending on the jurisdiction and property value, expect to pay several hundred dollars for these items. Flood Determinations and Environmental Assessments: To place the home within current flood zones and determine whether flood insurance is necessary, a flood determination (and, in some cases, ongoing flood monitoring) is required. These items usually cost less than $100 at closing, though flood insurance can cost substantially more on an ongoing basis. In certain regions, other types of environmental assessments – such as fire hazard assessments in California – are required. Origination Fee: The origination fee is often used as a catch-all to bundle miscellaneous closing costs such as courier fees, document fees, escrow charges, attorney’s fees, and more. They can exceed 1% of the purchase price, adding greatly to your required cash at closing. If you’re not clear on what’s included in your origination fee, ask your lender to explain each itemized charge. Don’t be shy about challenging them on individual points. By law, the seller is allowed to pay up to 6% of the sale price toward closing. That’s usually more than sufficient to cover closing costs. 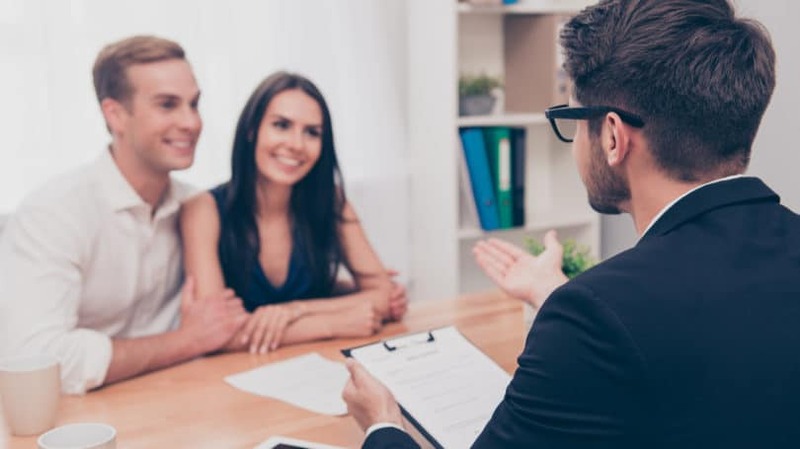 In buyer’s markets, motivated sellers willing to kick in thousands of dollars toward closing costs have an easier time completing their transactions, but the practice is far less common in seller’s markets. Credit Requirements Are Relaxed. 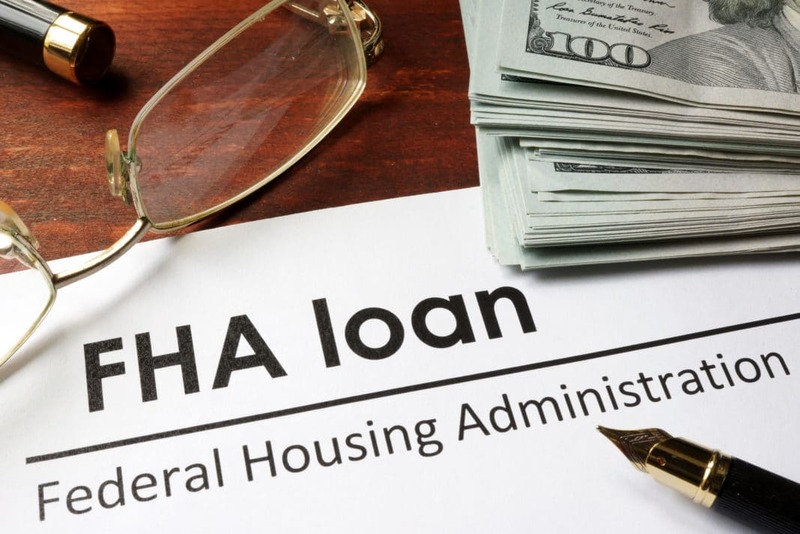 FHA loans are insured by the Federal Government. That greatly reduces lenders’ financial risk and allows them to freely underwrite FHA loans to consumers with below-prime credit – people who likely wouldn’t qualify for conventional mortgages not backed by the U.S. Government. According to The Mortgage Reports, the FHA insures 96.5% (3.5% down) mortgages for buyers with FICO scores as low as 580, and 90% (10% down) mortgages for buyers with FICO scores as low as 500. By contrast, it’s tough for borrowers with FICO scores below 680 to secure conventional mortgages with favorable terms. The Purchase Price Is Subject to Restrictions. Unlike conventional mortgages, which can be issued in any amount (though they’re known as “nonconforming” or jumbo mortgages and subject to certain restrictions above $417,000 loan value), FHA-insured loans are subject to maximum value limits that vary by region. Local limits are found by multiplying the jurisdiction’s (usually county) median sale price by 1.15 (115%). In a census-defined metropolitan statistical area (MSA), which often includes more than one county, the local FHA limit is 1.15 times the median sale price in the most expensive county. For FHA-backed purchase loans in the continental United States, local limits cannot be lower than $271,050 or higher than $625,000. That upper limit is bad news for buyers in very expensive counties, such as San Francisco, where the median single-family home price is north of $1.1 million as of late 2016. In Alaska, Hawaii, and certain U.S. overseas possessions, the upper limit is 150% greater than the continental U.S. limit, or $938,250. For HECMs, the upper limit is $625,000 everywhere in the continental U.S. and $938,250 in the non-continental exception jurisdictions. Use HUD’s FHA Mortgage Limits calculator to find your local limits. The Down Payment Is Usually Smaller. One of the biggest selling points of FHA loans is the promise of a low down payment – just 3.5% for borrowers with FICO scores at 580 or better. Most conventional mortgage loans require down payments of at least 10% of the purchase price. 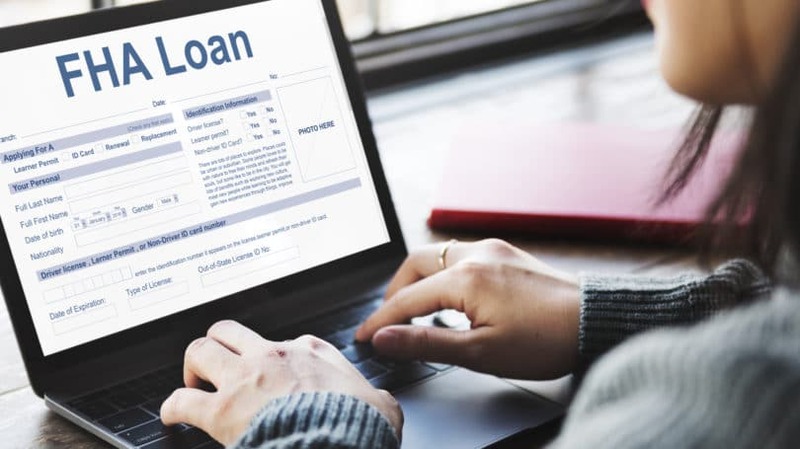 It’s possible to find so-called Conventional 97 loans, which finance 97% of the purchase price with just 3% down, but many lenders avoid them and they may come with other strings attached. Mortgage Insurance Is Pricier. One of the biggest drawbacks of FHA loans is the mortgage insurance requirement. All FHA loans carry an upfront mortgage insurance premium of 1.75% of the financed amount, regardless of loan size, sale price, loan term, or down payment. Going forward, borrowers who put less than 10% down must pay mortgage insurance premiums for the entire term of the loan, or until it’s completely paid off. Borrowers who put more than 10% down must pay mortgage insurance premiums for at least 11 years. Premiums range from 0.80% to 1.05% on loans with terms greater than 15 years, and from 0.45% to 0.90% on loans with terms less than or equal to 15 years, depending on the financed amount and initial LTV. By contrast, conventional mortgages usually don’t require upfront premiums. If upfront premiums are offered, they usually replace monthly premiums at the borrower’s option. What’s more, conventional mortgages with initial LTVs greater than 20% require no mortgage insurance at all, and mortgage insurance premiums automatically cease once LTVs reach 78%. The Allowable Debt-to-Income Ratio (DTI) Is Higher. Debt-to-income ratios measure the ratio of borrower debt (revolving and installment) to borrower income (gross). The FHA insures mortgages with higher DTI values (up to 43% and sometimes higher) than most lenders will accept on conventional mortgages (usually no more than 36%). The Allowable Housing Ratio Is Slightly Higher. The housing ratio is the ratio of the borrower’s total monthly mortgage payment (including hazard insurance, taxes, HOA fees, and so on) to the borrower’s gross monthly income. The FHA insures loans with housing ratios as high as 31%. Conventional mortgage loans are dicey above 28%. No Prepayment or Early Payoff Penalties. The Dodd-Frank Wall Street Reform and Consumer Protection Act forbids most prepayment penalties on residential mortgages issued after January 10, 2014. However, many conventional mortgages originated before that date do carry prepayment penalties. Prepayment penalties can range as high as 3% or 4% of the loan’s principal, depending on when the loan is paid off. Lenders have long been prohibited from charging prepayment penalties on FHA loans, so this isn’t a worry for FHA borrowers. Sellers Can Pay a Greater Share of Closing Costs. Under FHA rules, sellers can pay closing costs up to 6% of the sale price – usually more than enough to cover costs paid at closing. Conventional mortgages cap seller-paids at 3% of the sale price. Loans Can Be Assumed by Qualified Buyers. FHA-insured loans are assumable, meaning they can be transferred from sellers to buyers with little or no change in rates and terms. However, the assumption process isn’t quite as simple as tossing the keys over to the buyer. The FHA must give express permission for each assumption, and buyers are subject to thorough credit and income checks. Still, conventional mortgages generally aren’t assumable, so this is a big perk for motivated sellers and buyers alike. Interest Rates Tend to Be Lower. Though every lender is different, FHA loans tend to have lower interest rates than conventional mortgages. However, higher and longer-duration mortgage insurance premiums can partially or completely offset any savings that result. Whether you’re set on being the first occupant of a new construction home, turning a shabby fixer-upper into the forever home of your dreams, or snagging a cozy condo in an up-and-coming urban neighborhood, chances are good that there’s an FHA loan program designed for you. However, it’s not guaranteed that an FHA-insured loan is the best option for your needs. If you can afford a large down payment or live in an expensive housing market, a conventional mortgage may be the better financial choice. If you’re a military veteran, the VA loan program could reduce your homeownership costs better than any FHA loan. Buying a home is a big deal. So, when in doubt, don’t hesitate to ask a trusted financial expert for advice. Are you considering an FHA mortgage loan for your next home purchase?